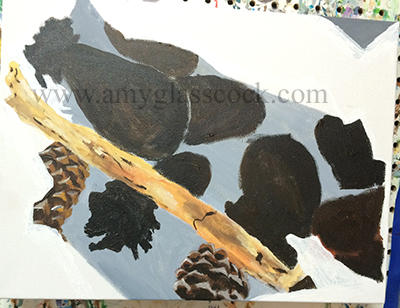 I decided to paint some pine cones and sticks that my son picked up in the park. I love how little kids are fasinated by the beauty of everything. It is something worth aspiring to. 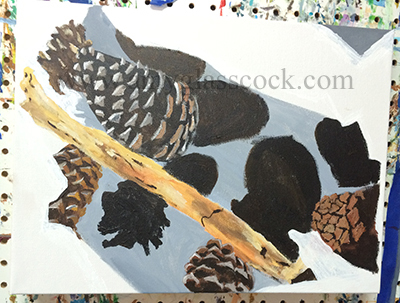 I decied to do a background color around the stick before I officially start the pine cones. 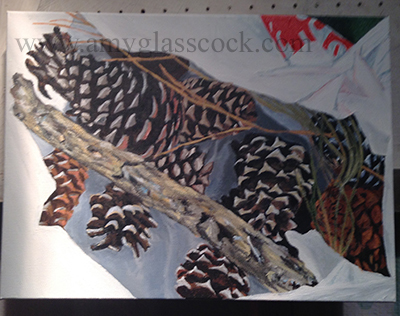 I started working on some of the pine cones a bit today. 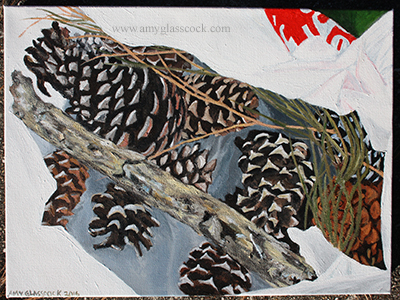 I started sketching in where the other pine cones will go today. 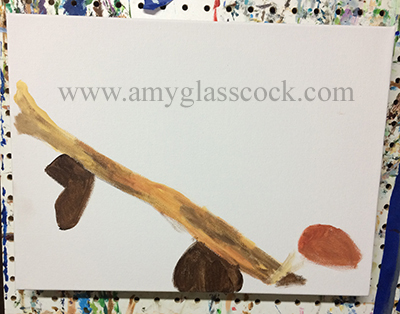 My stratedgy is to start with the dark areas then paint the light seeds on top. 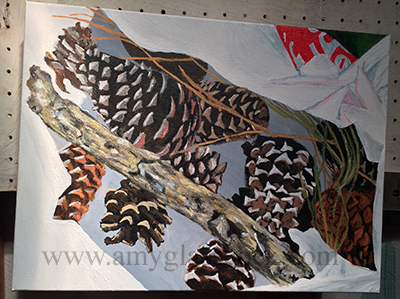 I worked on the pine cones more today. 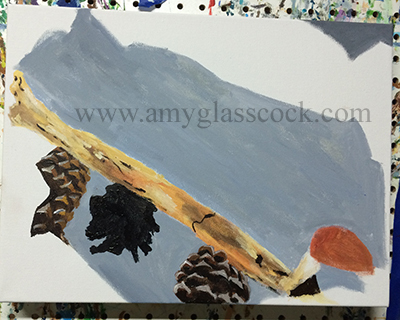 More pince cone work at the top. 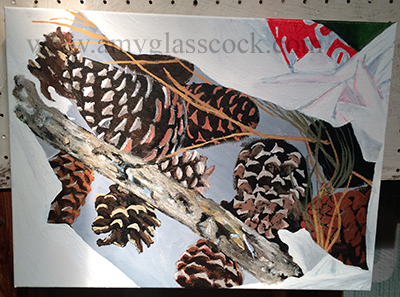 I added more pine cone details and also a few pine needles. I also changed the stick some. 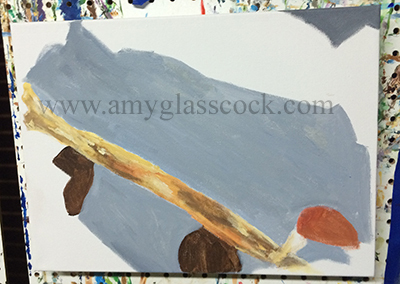 I worked on the texture of the stick mainly today. I also added some of the red text from the plastic bag. I am hoping it isn't too distracting. 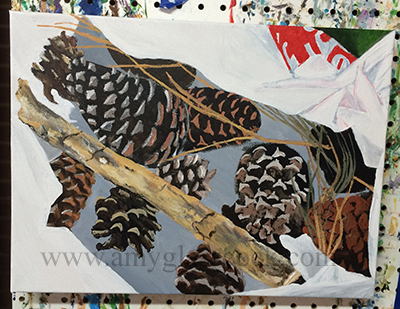 I worked on the top corner/ the plastic bag shadows today. 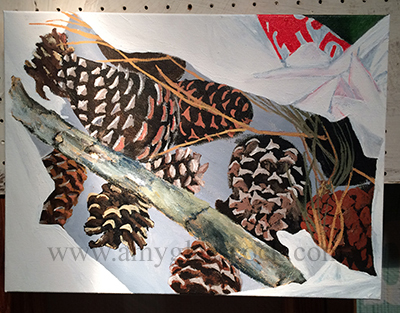 More work on the plastic bag shadows. 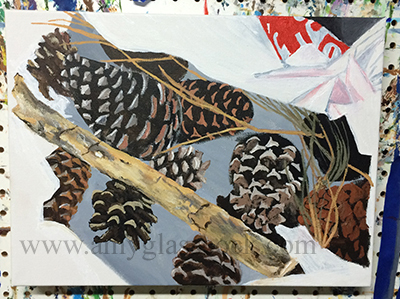 Painting white objects is always a challenge. 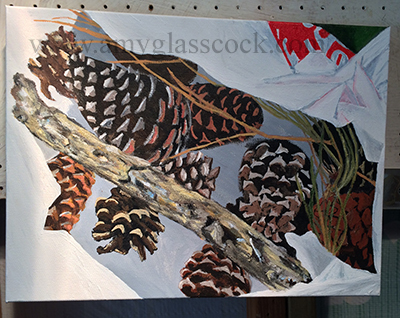 I worked on the stick and the pine needles on the right side today. 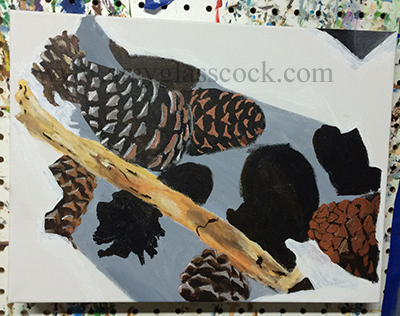 I worked on the top pine cone today and made it more light brown. 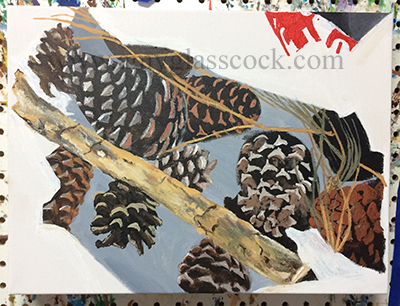 I finished today! 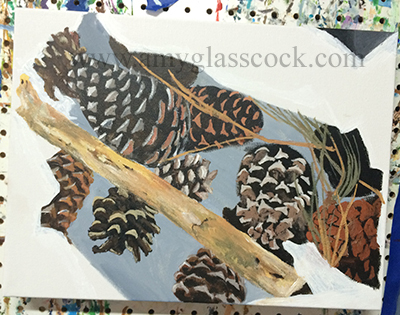 I added more pine needles and I added a pine cone at the top.